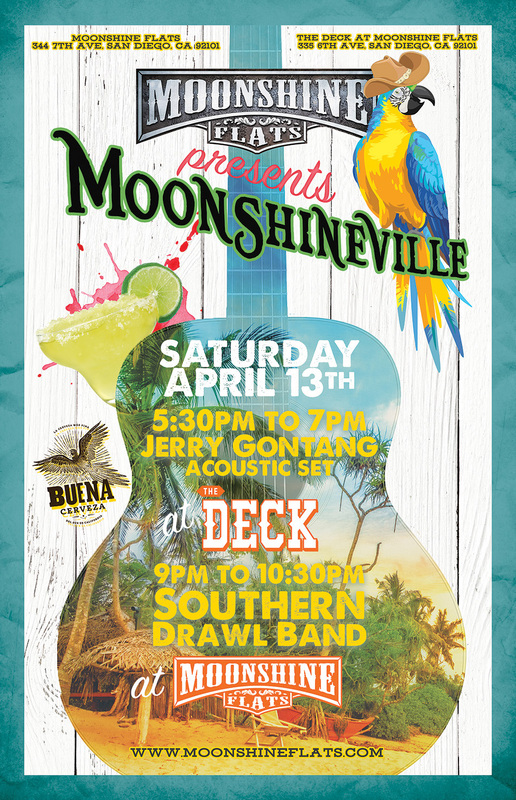 Instead of Margaritaville, we're bringing you MOONSHINEVILLE on Saturday, April 13th! Don't miss Jerry Gontang doing an acoustic set at The Deck at Moonshine Flats at 5:30pm followed by Southern Drawl Band at Moonshine Flats! Southern Drawl Band from Knoxville and Nashville Tennessee is Southern Rockin' Country music with a twist of lime distilled in the backwoods of Tennessee." Much like their derivative name, Southern Drawl Band is a melting pot of sound, styles, attitude and entertainment. 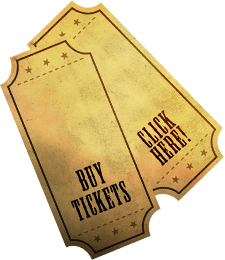 Defined in categories like Country, Southern Rock, Tropical Rock, and even Bluegrass, Southern Drawl Band attracts a range of listeners from a broad spectrum of music genres and audiences. Their unique trait of extraordinary music and song writing, along with impressive entertainment style and unforgettable live performance is what sets this band apart from others in their class. During their rise, Southern Drawl Band has had the honor of gracing the stages of many major artists. 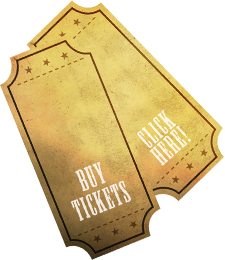 From legends such as Lynyrd Skynrd, Charlie Daniels Band and Jimmy Buffett to classic country artists like Aaron Tippin, Neil McMcoy, and Pure Prarie League right up to modern day stars such as Brantley Gilbert, Blackberry Smoke and Justin Moore.